Mutual funds differ from other types of investments so investors should take the time to understand the differences and decide if these products are right for their financial goals. A mutual fund is a pool of money invested in securities for a large number of investors. They are a common investment because investors can diversify their holdings to benefit from opportunities across regions, sectors, and investment types. Mutual funds generally fall into three categories: money market funds, bond funds, and equity funds. Some funds are country or sector-focused and may or may not fall into these groups. Investors may also hear about balanced funds, which combine various investment types based on certain risk or investment goal criteria. Here’s how it works. Investors buy securities – essentially units or shares of the fund – priced based on the net asset value (NAV) of the fund. Mutual funds are redeemable, meaning investors can buy and sell units depending on the NAV. Who Manages a Mutual Fund? Fund managers and portfolio managers manage a mutual fund. The former direct the fund’s investment strategy. The latter make trades and conducts research. Most financial institutions create, sell, and manage their own mutual funds. This includes banks, financial planning firms, brokerages, credit unions and trust companies. Investors often work with advising, associate advising, or dealer representatives when they consider a mutual fund. These representatives have restrictions on the products they can advise on or sell and are regulated by the Mutual Fund Dealers Association of Canada (MFDA) or the Investment Industry Regulatory Organization of Canada (IIROC). A Fund Facts document shows basic information about a mutual fund. It describes performance, risks, and the costs of buying and owning the fund. Investors must receive a Fund Facts document before purchasing a mutual fund. You should take the time to go through the Fund Facts when researching a mutual fund and ask questions if you do not understand something. These documents are required to follow a standardized format; each provider’s Fund Facts should have a similar appearance. The Canadian Securities Administrators (CSA) have an interactive Fund Facts tool that helps investors understand these important documents. When you invest in a mutual fund, you will pay fees that cover the costs to operate the fund as well as dealer fees. 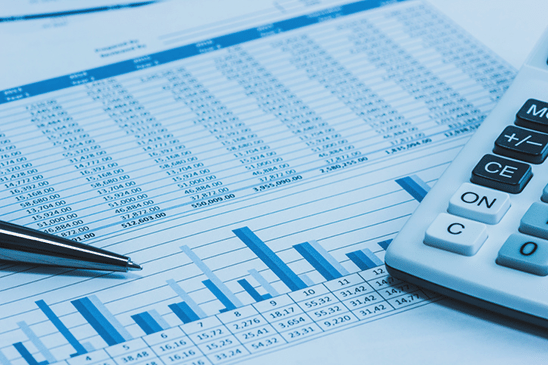 Fund Facts documents contain deeper information about fund expenses and dealer fees. Mutual fund fees are often bundled into a management expense radio or MER. Inside the MER are management fees, operating expenses, trailer commissions, and other possible charges. MERs are shown as a percentage of the fund’s assets. Aside from the MER, look at the other fees and charges that may come with buying, owning, or selling a particular mutual fund. You can learn more about investment fees on the Fees & Charges page or use the Investment Fee Calculator to see how fees affect returns. Your registered investment advisor or their firm must provide you with an annual Report on Charges and Other Compensation that shows most of the fees paid each year. What Returns Can I Expect from a Mutual Fund? Like any investment, mutual funds have risk. In most cases, the chance to earn higher returns comes with a higher risk. Ensure you understand how much your mutual fund could increase or decrease in value before deciding to invest. Mutual fund owners receive a return through the value of the fund going up or down and from dividends or interest payments. Investors can see how a fund returns or reinvests dividends in the Fund Facts document. You can compare mutual fund returns with a benchmark index but include the MER when assessing performance against an index. Investors may also be interested in these InvestRight articles on exchange-traded funds (ETFs) and fixed-income investments.